Are you alienating the fastest-growing web demographic, the one that actually has money to spend? 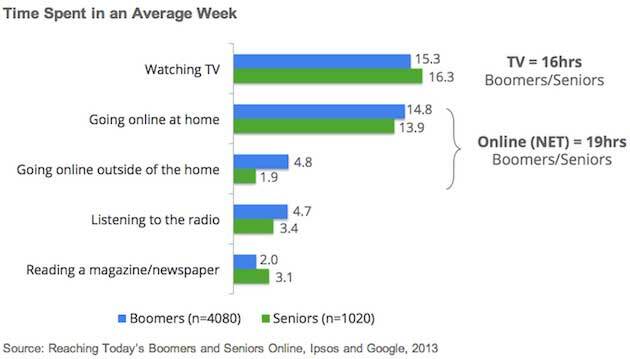 According to a 2013 study conducted by Google and Ispos, seniors and Baby Boomers spend 19 hours a week online versus 16 hours watching television. Internet time also clobbers activities such as listening to the radio and reading newspapers/magazines. 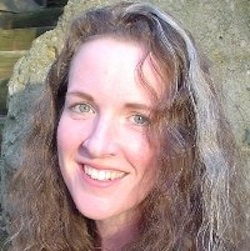 While market share of older audiences on the web is growing, Shawn Henry, education and outreach lead at W3C’s Web Accessibility Initiative (WAI), believes that the user experience for this group is not keeping up. Vision. Older users tend to have reduced sensitivity to contrast, lack of color perception and near-focus. Physical ability. They may have reduced dexterity, causing problems with things like using a mouse. Hearing. They may have difficulty listening to web audio, particularly audio that has background music or other noise. Websites and tools that are accessible to people with disabilities, says W3C, are more accessible to older users as well. And designing for older users can make your website flexible to work better for all users of every age. Bonus! Sound intriguing? Shawn’s WebVisions Chicago session on “Crafting User Experience for the Fastest-Growing Web Demographic: Older Users” will dig deeper, focusing on the top usability issues for older audiences, how to use W3C’s Web Content Accessibility Guidelines to address the needs of older users, emerging research on making text more readable, and how to create visually appealing, user-customizable designs that work well for a wide range of users.